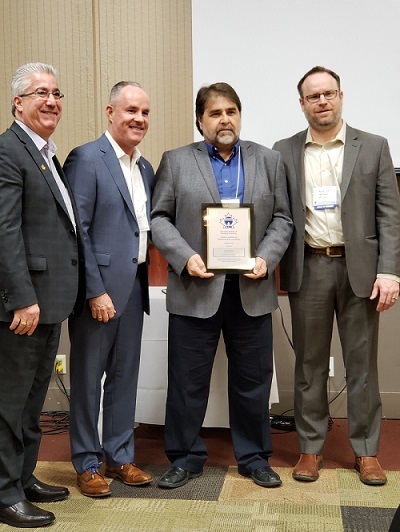 Congratulations to Brian Rosney of Bibby-St-Croix for receiving CIPH’s Lifetime Service Award recognizing 40 or more years in the plumbing & heating industry. L to R: Ralph Suppa, CIPH. ; Allen Taylor, Taylor Pipe Supports. ; Brian Rosney,Bibby-St-Croix; Nolan Shortridge, Jones Goodridge Inc.